In one of Richard Branson’s most memorable ventures of 2017, the business magnate built an 80-foot steel octopus to sink one of the remaining boats involved in the 1941 attack on pearl harbour — the Kodiak Queen. 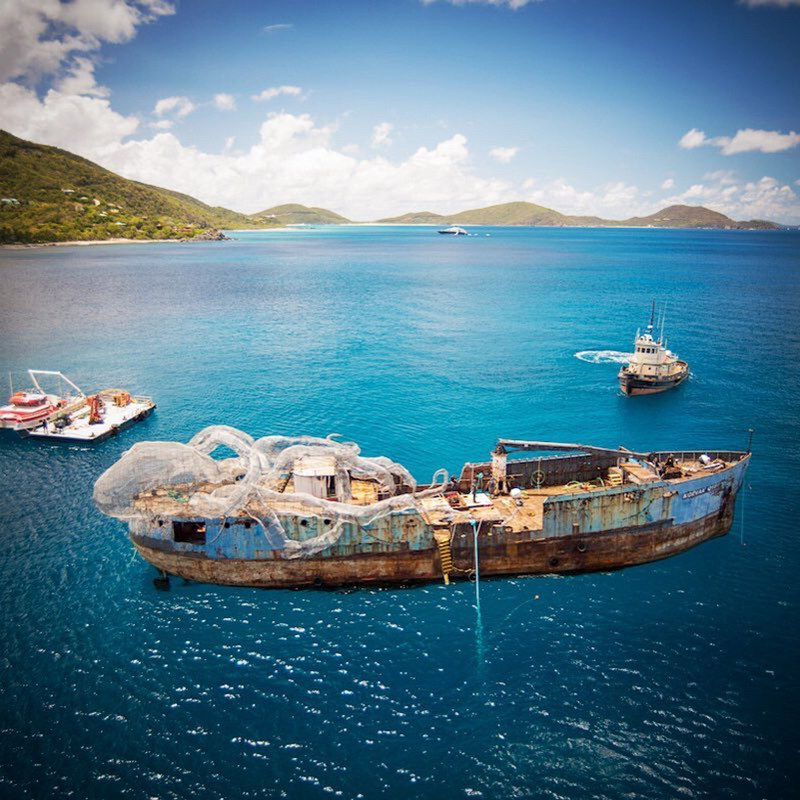 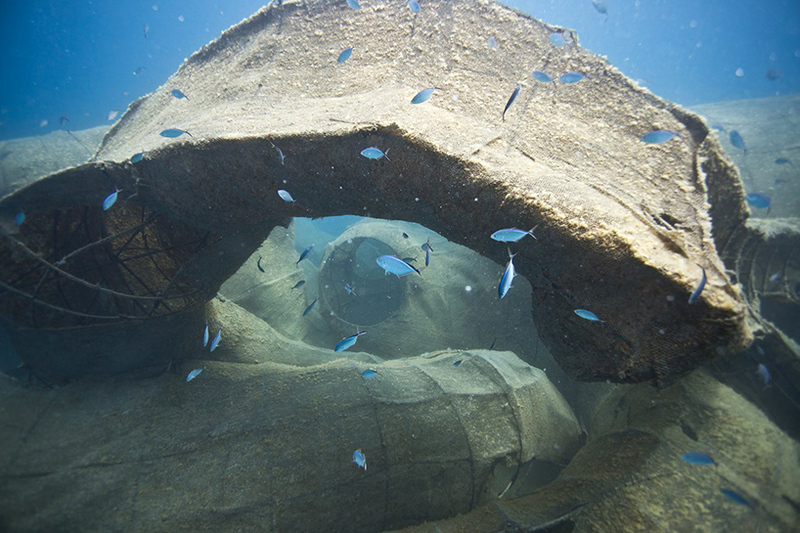 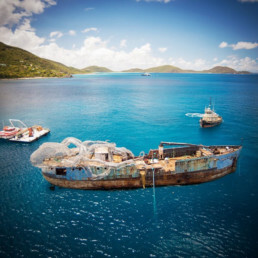 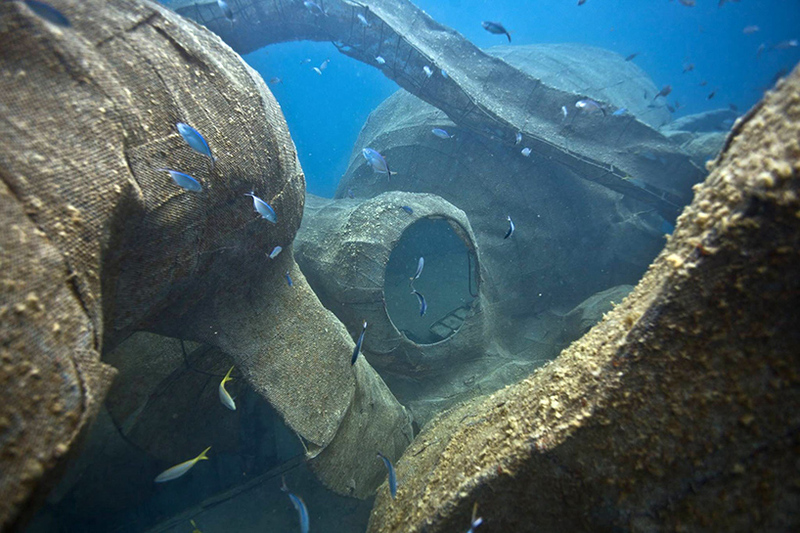 The historical navy ship, which was sunk off the coast of Virgin Gorda, is now an underwater art installation and marine life habitat. 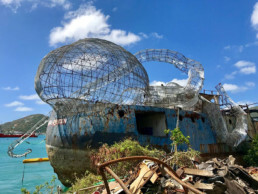 The shipwreck was bought by Richard Branson after a former employee, British photographer Owen buggy, discovered it and approached him with the idea of collaborating on a restorative art installation. 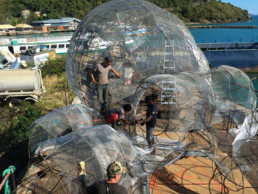 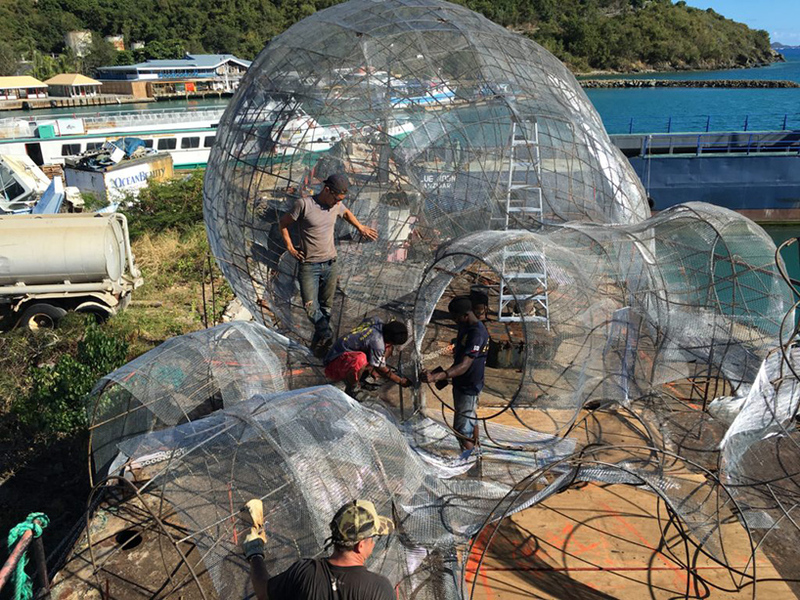 The pair teamed up with Unite B.V.I., a non-profit foundation in the British Virgin Islands, and Ocean Education non profit group Beneath The Waves to create the BVI art reef project. 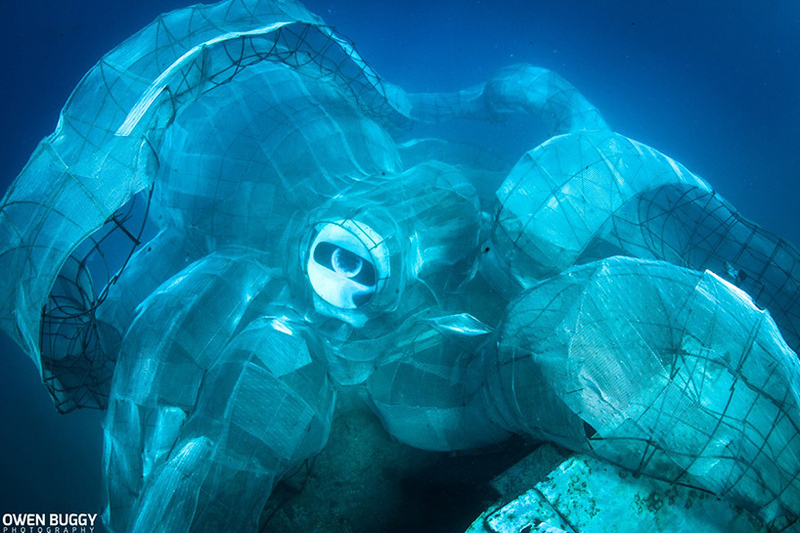 The project sees an eco-friendly art installation that aims to create a new coral ecosystem, using sculptures like the octopus to rehabilitate native marine species. 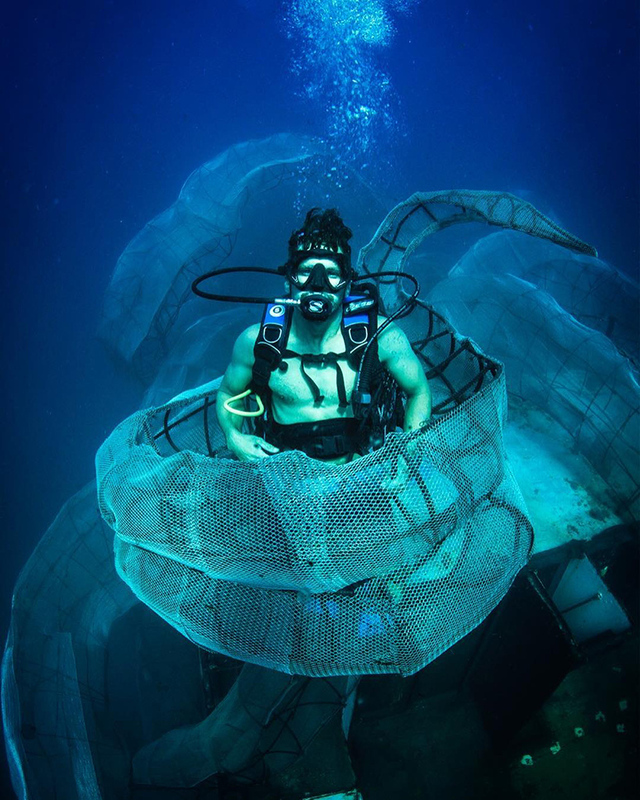 Below water divers are able to swim through the structure to experience a fantasy-like environment, exploring the art located on the bow and middle section of the boat. 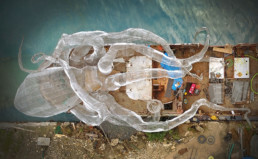 An 80 foot sculpture of a octopus is also located on the ship’s deck, made up of rebar and mesh. 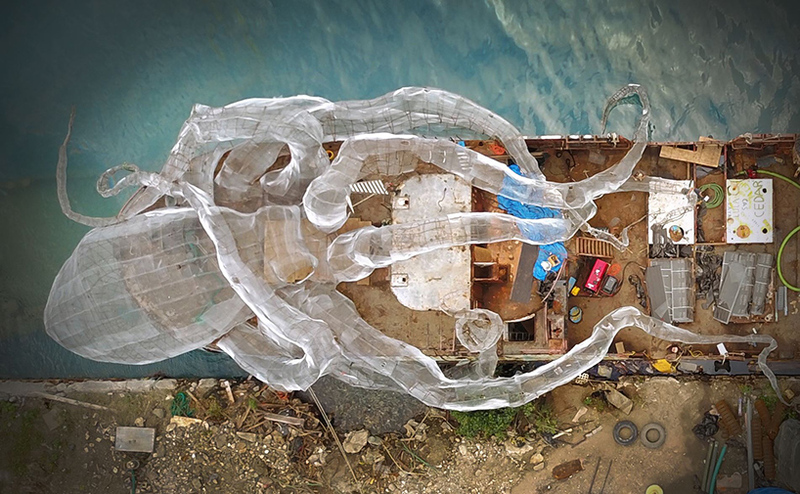 Restoring the Kodiak Queen involved a nine-month long endeavour and funding from social justice entrepreneurial group Maverick1000 and help from the artistic vision of artist group Secret Samurai Productions. As well as finding a purpose for each area of the boat, a series of dedicated entry points were created for divers to navigate the space below sea. 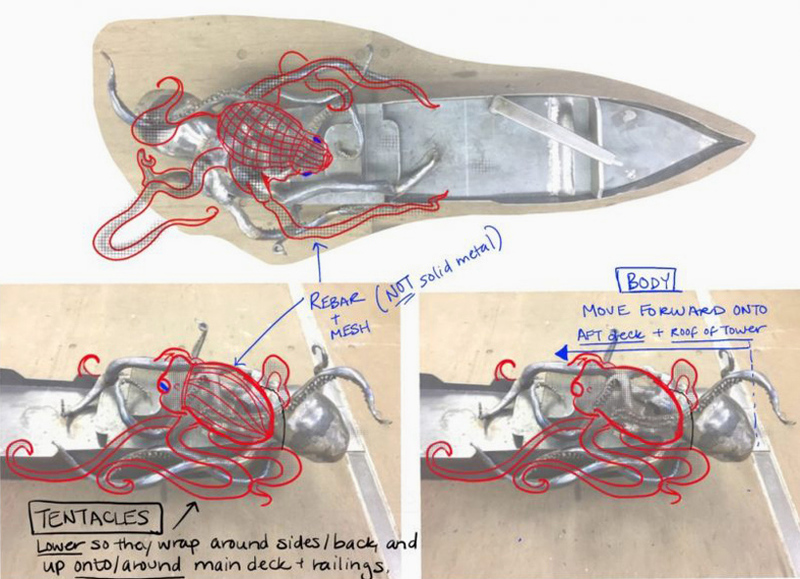 The construction and sinking of the boat has been filmed by Rob Sorrenti who will premier a full-length documentary of the project within the next month.